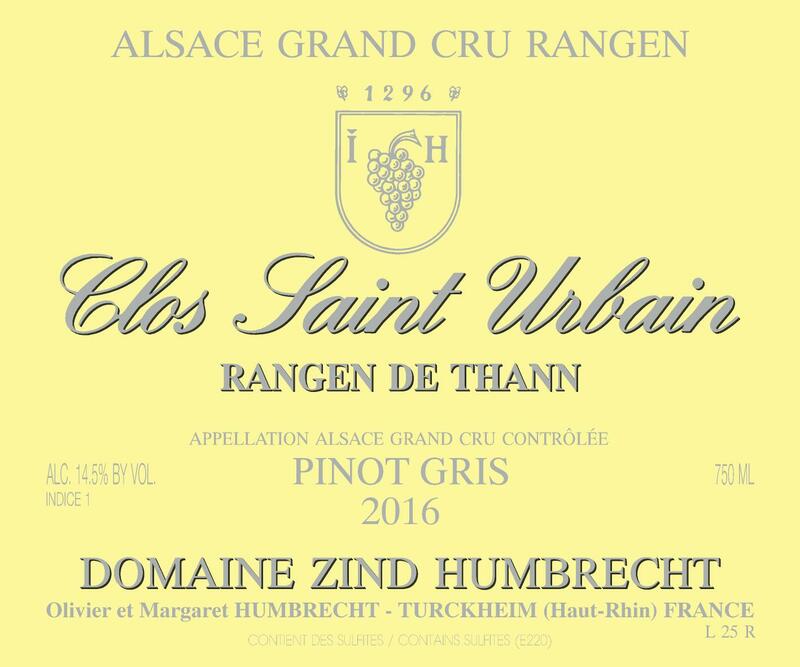 The Grand Cru Rangen is located at the opening of a deep valley, close to high summits and is under the influence of cold valley winds. The mountain climate is enhanced by the altitude of the vineyard, so it is no surprise that the Rangen is a very late ripening vineyard. The steep slope and dark volcanic sediment (Grauwacke) eventually compensate the late climate and allow the grape to ripen perfectly. In 2016, the flowering happened during a very rainy week and was therefore delayed with strong losses due to coulure. 2016 is a large crop in Alsace, but not for this grape in the Rangen! The grapes ripened perfectly through a very dry summer, remained very healthy and the wine was eventually ale to ferment really fast (a few weeks!) and finished bone dry. Despite the speed of the fermentation, it was bottled later than usual, which allowed the wine to develop a very strong character. 2/2018: intense yellow, light gold colour. Smelling this wine is equivalent to smell a rifle after it just fired! There are very powerful and strong flinty and smoky aromatics, closer to gunpowder and burnt peat. Make no mistaken this isn’t reduction, but a typical expression of the brutal volcanic terroir, enhanced by the absence of overripe flavours. The palate confirms the nose, it is powerful, long, uncompromising and full but possesses a well-bred elegance. The high mineral content soil also brings a complex bitter and saline mouth structure. The finish goes on forever, like warm spices, but without any burning sensations. Already impressive, it will improve slowly for a very long time.